As a staffing firm, our recruiters see tons of applications, resumes, and LinkedIn profiles every day. 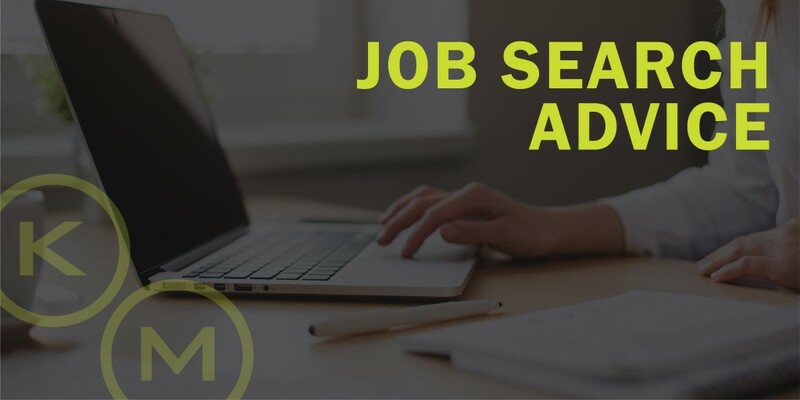 If your job search seems to keep leading you to dead ends, check out these eleven tips we’ve gathered to help you through the process. Don’t use the same cover letter for each job you apply for. Each cover letter should highlight the specific company and role. While you will have some points that will come up in both, try to pull directly from the job description. Additionally, this is your opportunity to show your passion and understanding for the company and the industry that won’t come through from your resume. Don’t disregard the power of your social media. Beyond just keeping your social media clean and locking up your privacy settings, in certain industries having a strong social presence can work in your favor (i.e. a marketing role). If the latter is the case, go through and double check caption spelling and content to make sure it’s consistent. Don’t ignore your network of family, friends, and past coworkers. These people not only know you but are some of the most likely to be able to vouch for you in a meaningful way to their own network. Never feel like you’re an inconvenience, a lot of companies have referral programs that incentivize employees to bring candidates to the table so it could potentially benefit them as well! Don’t forget to send a thank you letter or email after an interview. An email suffices for right after an interview but a handwritten letter even delivered a few days later can go a long way to differentiate you from other interviewees. Don’t lose confidence in yourself. Depending on the industry, time of year and economy the average job search can vary greatly. Right now it’s at about 6 weeks. Don’t be hard on yourself if your job hunt takes a little longer because there’s a lot more at play then just you and your resume in these decisions. Don’t overlook typos and bad grammar in resumes, cover letters, or other application materials. These are the simplest things to fix but can be a real deterrent for employers if spotted. Simple fix? Ask a friend or family member to spot check on your behalf! The more eyes on these, the better! Don’t go into an interview without knowledge of the company. Turn off your TV or Netflix the night before an interview and spend the evening familiarizing yourself with the organization’s beliefs, press clippings and any other materials you can get your hands on. Social media is also a great resource so you can understand how a company is positioning and branding itself! Don’t be afraid to ask for feedback after a failed application or interview… it will help in the future. There’s no need to be nervous in asking, most hiring managers are happy to provide it and that feedback and dialogue might offer you other opportunities or paths you didn’t originally consider. Don’t underestimate the process of building up your personal brand and image. Consistency is key, we can’t say it enough. Showing that through the way you present your brand can really help you stand out. Don’t sit on your computer all day applying for jobs… stay healthy and get some fresh air. Job hunting can feel like a fulltime job itself but don’t let it take over your life. It won’t encourage you to feel any better about the process. Get out there and enjoy life, even if it’s just going for a quick walk around your neighborhood to stretch your legs! So, now you know what not to do. But, you know what you should do? Check out KellyMitchell’s job openings! Just click here to apply.